The second day of 4KSummit 2018 has been focused on keynotes on major sports events. HBS’s Francis Tellier opened the morning with his explanation of his company’s UHD/HDR production at major sport events such as the FIFA World Cup. Norbert Paquet showed how Sony uses HDR and SDR in its workflows and explained the company’s work in the broadcast of FIFA World Cup 2018. 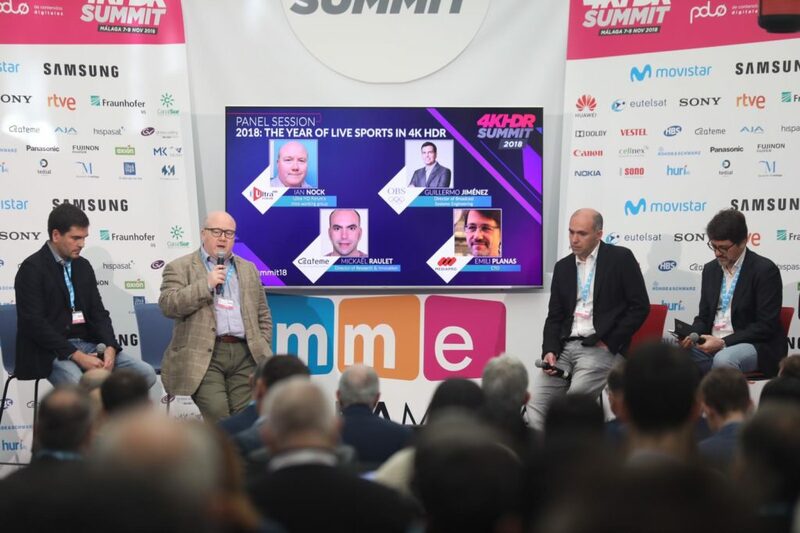 The 4KSummit attendees then learned about the experiences of the live sports broadcast thanks to a panel featuring Ian Nock from Ultra HD Forum, Guillermo Jiménez from OBS, Mickaël Raulet from ATEME and Emili Planasfrom Mediapro. Ian Nock highlighted that “Distributors and manufacturers need to focus on improving the customer experience”. According to Emili Planas, “Manufacturers should focus on delivering the best HDR quality and not more pixels”. “We have to get the right colours on TVs that don’t have that capability,” explained Mickaël Raulet. “We have to get it right from the start and use the solutions we have now,” said Guillermo Jiménez. The morning continued with a keynote by Ian Lowe, Senior Sales Manager EMEA at Dolby, who spoke about Dolby’s HDR workflows: “We provide the best possible consumer experience at home”. Then it was the turn of a panel on ‘Cameras and Lenses’, where Stefan Hofmann from Panasonic, Klaus Weber from Grass Valley, Salvador Luna from Fujinon and Carlos Castán from Canon, talked about equipment and workflow efficiency. “We think of a single layer workflow. This is the format in which it should be produced, offering the most optimal result,” explained Klaus Weber about Grass Valley workflows. In the words of Stefan Hofmann of Panasonic: “We must be very careful to obtain an SDR signal comparable in the final result to an HDR signal”. To close the morning of the second day, Miguel Ángel González, Solution Architect of Huawei, presented the different technological solutions of Huawei and different success stories of the company. During the conference breaks, attendees have the opportunity for networking and learn about the different Demos that companies such as Nokia, Sony, Dolby, Rohde&Schwarz, Samsung, Axión and RTVA, RTVE, Hispasat, Eutelsat, NASA, Huawei, NHK and BBC show during these three days in the Demo Area and in the free workshops of the 4KSummit. 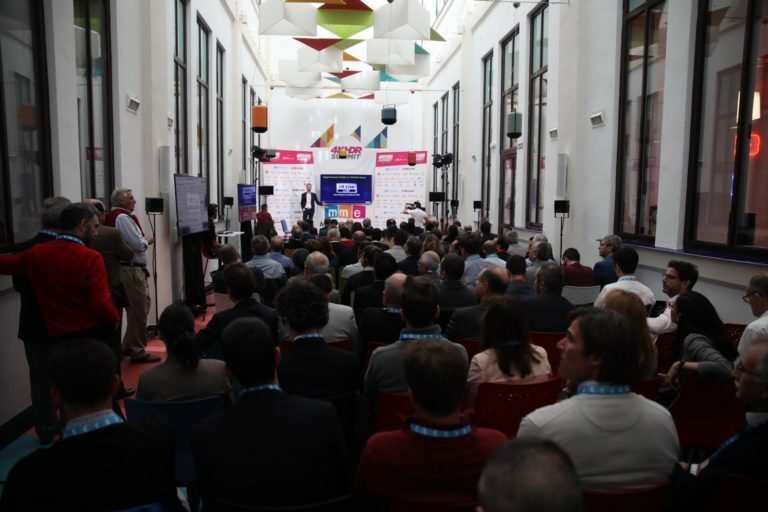 The sessions of 4KSummit 2018 are being broadcast on Hispasat’s 4K channel, by Hurí Televisión, with Panasonic AK-UC-4000 cameras and Fujinon lenses. Tomorrow, Friday 9 November, continue the presentations at the Auditorium of the 4KSummit with prestigious world experts such as Thierry Fautier and Benjamin Schwarz Ultra HD Forum, the renowned analyst of the IHS Markit, Paul Gray and the presence of Johanna Rueda from Caracol TV. Also, the presentation of the Short Film Festival ‘Malaga 4K Fest’ will take place at 13:00 hours in the Digital Content Hub of Malaga. 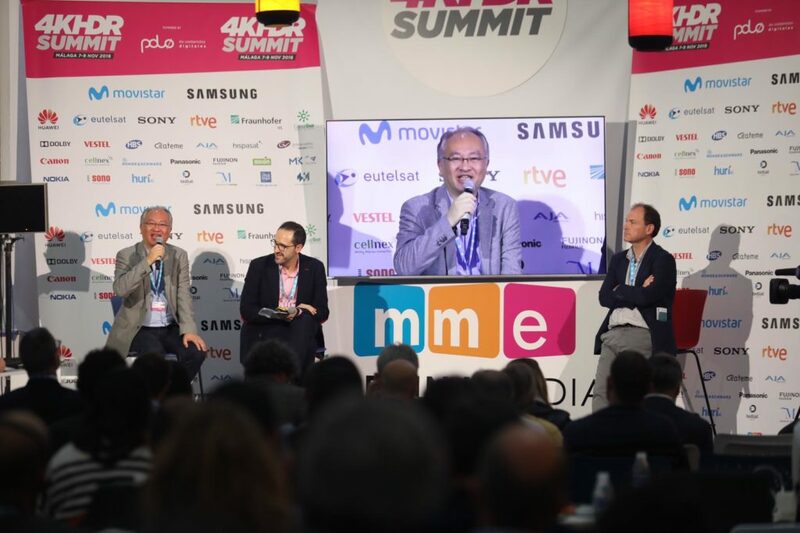 Earlier at the afternoon of the first day of 4KSummit, representatives of international channels such as Colin Jackson of the BBC and Hiroyasu Masuda of the NHK shared with the audience their experiences on productions in 4K and 8K. 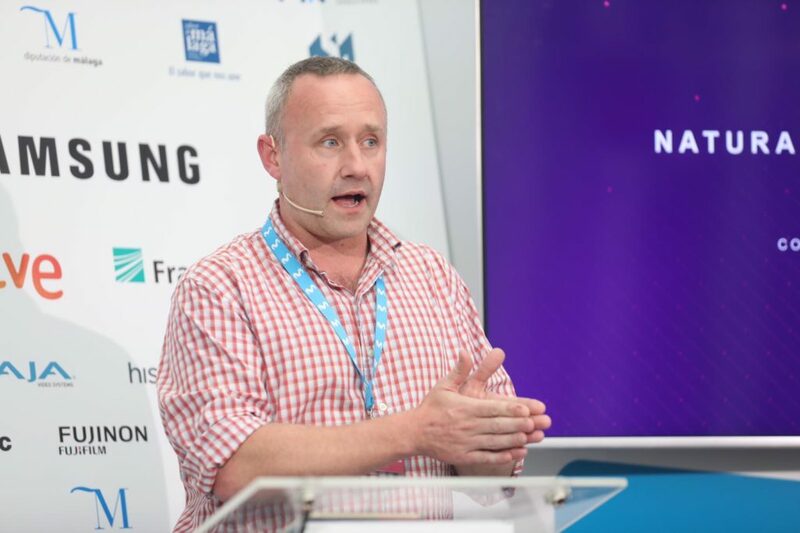 Colin Jackson explained the workflow carried out by the BBC in the production of nature series such as Blue Planet II and Planet Earth II. 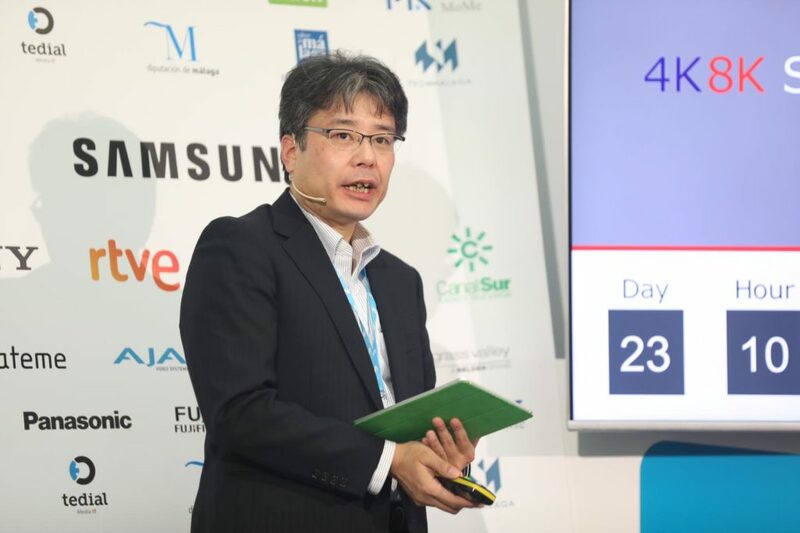 On the other hand, Hiroyasu Masuda also presented the novelties that the channel will launch from December 1st: a 4K channel and another 8K channel, as well as a 4K news channel “in which they will be able to bring great realism to the news”, according to Masuda’s words. In the panel “TV Screens, Platforms and Contents”, Nicolás Lecocq from Movistar+, Manuel Gómez Zotano from RTVE and Motoshi Bito from Vestel, explained how viewers’ consumption habits have changed over the years and how they have managed to adapt to the new needs of the market. 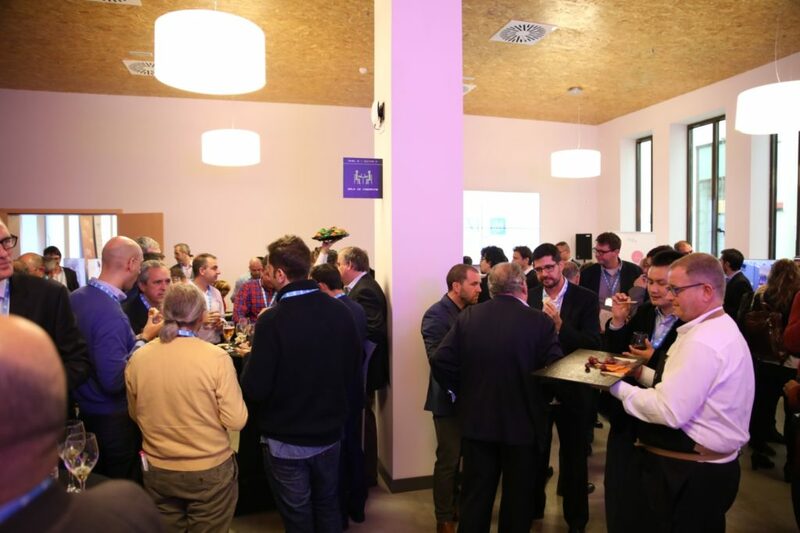 According to Manuel Gómez Zotano: “In RTVE we have experienced a great evolution, offering different opportunities to reach users through different networks, products and services”. 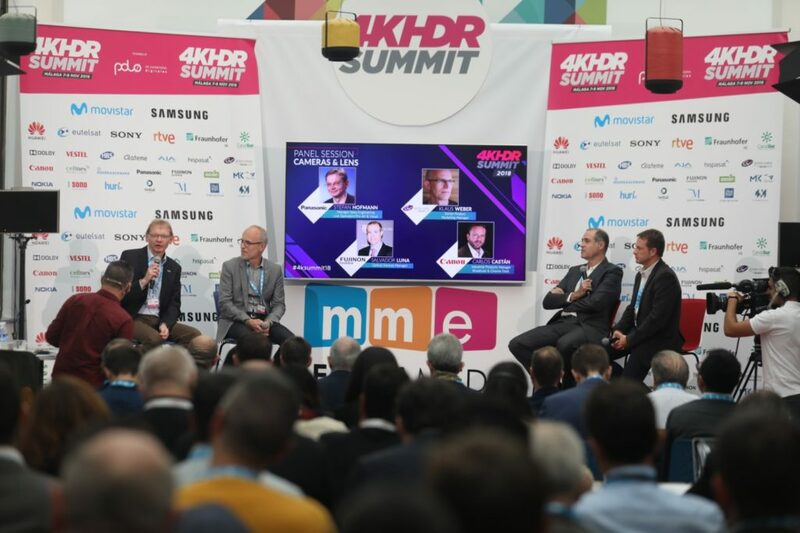 Alfonso Carrera, from Fraunhofer, and Yannick Dumartineix, from Radio Télévision Suisse (RTS) were in charge of closing the first day of 4KSummit, with their keynotes on the importance of audio and music in UHD and HDR productions.